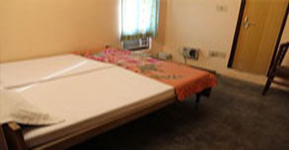 The Mishra Guest House is a small high-quality establishment. Ideal for both the business visitor and for families visiting Varanasi,India. We are situated in the heart of Varanasi,whilst in a quiet suburban setting. The hotel's location is ideal for travelers wanting to visit the famous sights of The Holy River Ganges,yet is also close to the city's business centers. Free pickup from Railway station. Welcome to the Holy City and most Welcome to MISHRA GUEST HOUSE of Holy City, a place of complete rest. Kashi, Banaras or Varanasi is the oldest living city in the history of Mankind. MISHRA GUEST HOUSE coined all distinct cultures of India.